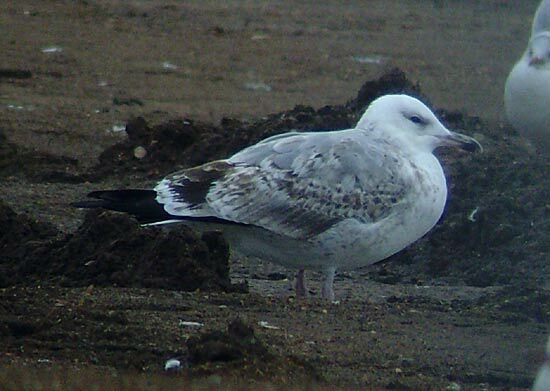 Larus cachinnans PAPB 1CY, 3CY & 8CY, October 2009, January 2011 & February 2016, the Netherlands & Great Britain. 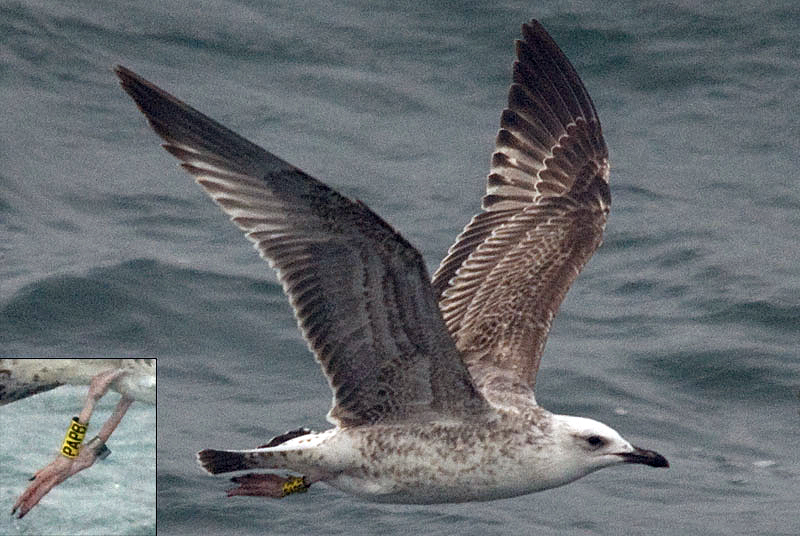 Yellow PAPB and metal PLG DN-26282; ringed as pullus on May 21 2009, at Jankowice Babice Malopolskie Poland (50,03333 19,46667). 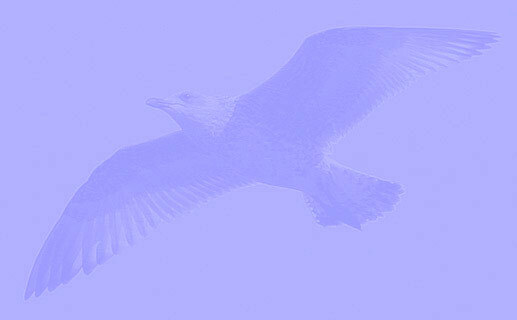 Bird crossing the North Sea, recorded again on December 24 2009 by NTGG in Great Britain, Rainham marshes London. 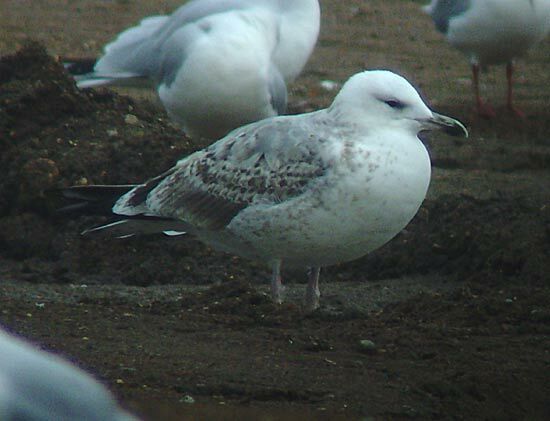 Subsequently, recorded as 3CY bird at Dartford (January 03 2011) and Pitsea landfill Essex (November 26 2011). below: cachinnans PAPB 1CY, October 30 2009, North Sea, the Netherlands. Picture: Maarten van Kleinwee. Following vessels, together with Herring Gulls. below: cachinnans PAPB 3CY, January 03 2011, Dartford, Great Britain. Picture: J. Hunter & anonymous. 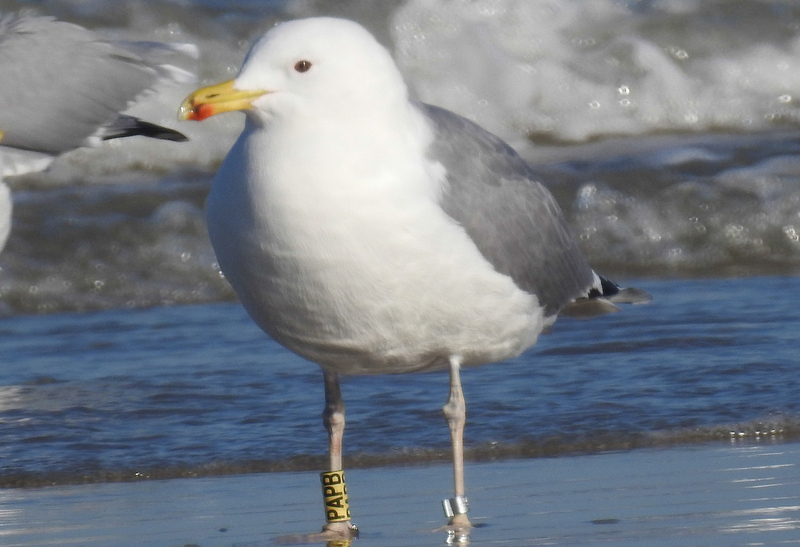 below: cachinnans PAPB 8CY, February 18 2016, North Sea beach, Terschelling, the Netherlands. Picture: Jacob Jan de Vries.